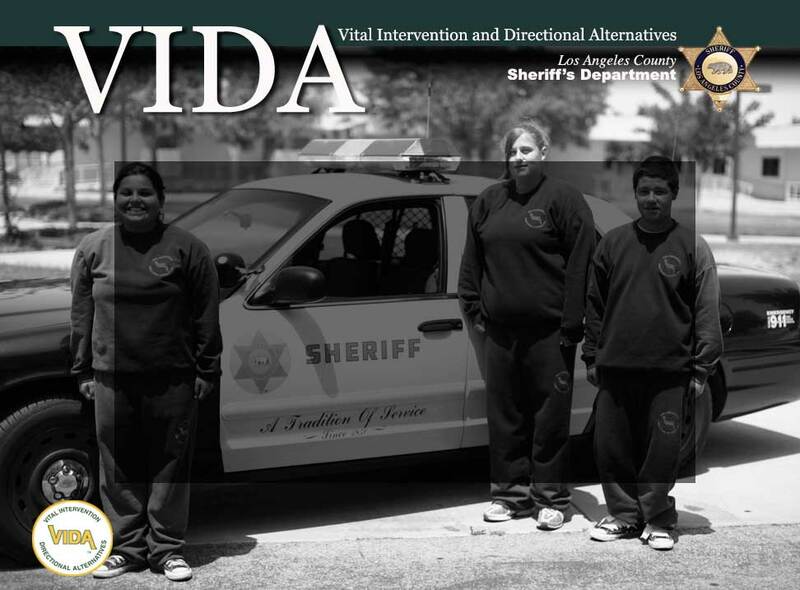 Conceived and operated by the Los Angeles County Sheriff’s Department, in partnership with community-based organizations, volunteers, schools and families, VIDA serves kids between the ages of 11 and 17 1/2 at eight locations across the county. Over the course of the 16-week program, VIDA participants focus on increasing academic achievement, improving family relationships, developing positive social behaviors and realizing the possibilities for a better future. The program includes regular visits with VIDA staff members, a Saturday component and weekly sessions with the child and parent to facilitate communication and understanding. Upon completion of the program, participants receive a certificate of completion and are referred to other programs to continue their growth. To learn more about VIDA, please look around the site. Parents can request an appointment with VIDA staff by clicking on the parents’ corner link.